Santa Anna is a town in Coleman County in central Texas, United States. The population was 1,099 at the 2010 census. San Saba is a city located in Central Texas. It was settled in 1854 and named for its location on the San Saba River. The population was 3,099 at the 2010 census. It is the county seat of San Saba County. San Saba County is a county located on the Edwards Plateau in western Central Texas. As of the 2010 census, its population was 6,131. Its county seat is San Saba. The county is named after the San Saba River, which flows through the county. Menard County is a county located on the Edwards Plateau in the U.S. state of Texas. As of the 2010 census, its population was 2,242. Its seat is Menard. The county was created in 1858 and later organized in 1871. It is named for Michel Branamour Menard, the founder of Galveston, Texas. Jean-Louis Berlandier was a French-Mexican naturalist, physician, and anthropologist. 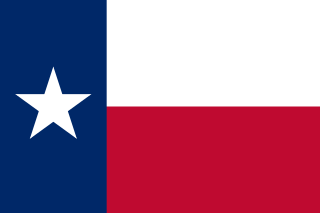 The First Texas Legislature convened from February 16 to May 13, 1846 in regular session. Members of the House of Representatives and Senate were elected in December 1845, after an election on October 13, 1845 that ratified the proposed state constitution. 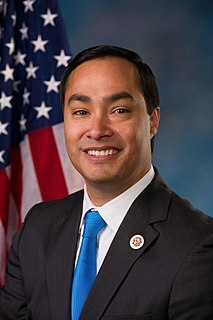 Joaquin Castro is an American Democratic politician who has served in the United States House of Representatives for Texas's 20th congressional district since 2013. The district includes just over half of his native San Antonio, Texas, as well as some of its nearby suburbs. From 2003 to 2013, Castro was a member of the Texas House of Representatives for District 125. While in the Texas state legislature, Castro served as vice-chair of the Higher Education Committee and was a member of the Judiciary & Civil Jurisprudence Committee. He also previously served on other committees, such as County Affairs, Border & International Affairs, and Juvenile Justice & Family Issues. Bend is an unincorporated community in Lampasas and San Saba Counties in Western Central Texas. The population was 1,678 as of the 2010 census. It is located on Farm to Market Road 580 on the western leg of a horseshoe-shaped bend in the Colorado River. The Lampasas County portion of Bend is part of the Killeen–Temple–Fort Hood Metropolitan Statistical Area. William Edward Crump was the first Speaker of the Texas House of Representatives following statehood. A representative from Austin County, Crump was a novice in political circles, having held no previous public office in Texas either in the Republic or at the local level. Despite his lack of experience, he was elected Speaker on the first ballot without any substantial opposition. Carlos "Charlie" Uresti is an American attorney and Democratic politician from San Antonio, Texas. From November 2006 until his resignation in June 2018, he served as a member of the Texas State Senate representing Senate District 19, one of the largest geographical senatorial districts in the Texas Senate, covering a third of the Texas-Mexico Border. Prior to his election to the Texas State Senate, he represented the 118th district in the Texas House of Representatives from January 1997 until November 2006. Leticia R. San Miguel Van de Putte (born December 6, 1954) is an American politician from San Antonio, Texas. She represented the 26th District in the Texas Senate from 1999-2015. From 1991 to 1999, Van de Putte was a member of the Texas House of Representatives. In 2014, she was the Democratic nominee for lieutenant governor but lost the general election, 58-38 percent, to her Republican senatorial colleague, Dan Patrick of Houston. Following that defeat, she then resigned from the Texas Senate to run for mayor of San Antonio, which she narrowly lost to Ivy Taylor, 52-48 percent. Troy Lynn Fraser is a Republican former member of the Texas State Senate. From 1997 through his retirement in 2016, he held the 24th District seat, which encompasses all or parts of the counties of Bandera, Bell, Blanco, Brown, Burnet, Callahan, Comanche, Coryell, Gillespie, Hamilton, Kerr, Lampasas, Llano, Mills, San Saba, Taylor, and Travis. Earl Jeffrey Wentworth, known as Jeff Wentworth, is a Republican former member of the Texas Senate from San Antonio. He represented District 25 in the upper legislative chamber from January 1997 to January 2013. In addition, from 1993 to 1997, he represented District 26, having been initially elected to the state senate in 1992 to succeed fellow Republican Cyndi Taylor Krier, when she became the county judge of Bexar County. District 25 included northern portions of Bexar County, all of Comal, Guadalupe, Hays, and Kendall counties, and a part of southern Travis County. The Meusebach–Comanche Treaty was a treaty made on May 9,1847 between the private citizens of the Fisher–Miller Land Grant in Texas, who were predominantly German in nationality, and the Penateka Comanche Tribe. The treaty was officially recognized by the United States government. In 1936, a Recorded Texas Historic Landmark, Marker number 991, was placed in San Saba County to commemorate the signing of the treaty. This is a list of the National Register of Historic Places listings in San Saba County, Texas. Charles Brandon Creighton is an American attorney and politician from Conroe, Texas, who is a Republican member of the Texas Senate from District 4, and a former member of the Texas House of Representatives from District 16. Steven Hixson Toth is an American businessman from The Woodlands, Texas, who represents District 15 as a Republican in the Texas House of Representatives. District 15 is based entirely in suburban Montgomery County, part of the Houston Metro area in the southeastern portion of the state. Peter P. Flores is an American retired game warden and politician from Pleasanton, Texas, who is a Republican Texas Senator from District 19, the largest Senate district in Texas. He is the first Hispanic Republican Texas State Senator in Texas history, and he is first Republican to be elected in District 19 in 139 years, since 1879 during the Reconstruction Era. Wilfred Pence Dacus was an American football player and coach. He served as the head football coach at Pepperdine University from 1960 to 1961, compiling a record of 2–18. He began his collegiate playing career at Tarleton State University, where he was a quarterback. Dacus moved on to Southwest Texas State University in San Marcos, Texas, where he lettered in both football and basketball. Dacus He was selected by the Detroit Lions in the 1954 NFL Draft. ↑ "Texas Legislators: Past & Present - Mobile" . Retrieved 31 December 2014. ↑ Thompson, George (2016-05-25). "Louis Crump celebrates 100 years". San Saba News. Retrieved 2016-05-25.